This module is comprised of five learning activities. The completion of all activities in this module may take multiple class periods. Teachers may decide to teach the entire module or to select among the learning activities. Africa is not a country! Sampling of North American and European perspectives on Africa, whether in a K-12 classroom, college lecture hall, civic or church group, almost always reveals the notion that Africa is socially, culturally, politically, and economical homogenous—Africa is perceived as a country, and not as a richly diverse continent comprised of 54 countries and a myriad of social structures, cultural traditions, and economic practices. Unfortunately, most text-books used in middle and high school social studies classrooms reinforce the perspective of African homogeneity and uniformity. Textbooks usually treat Africa as a single entity or provide chapters on two or three regions of Sub-Saharan Africa. This is in striking contrast to the treatment of Europe and Asia in the same text-books where it is the norm to have separate chapters on selected countries (e.g. China, Japan, India, Britain, France, Germany, Italy, etc.). 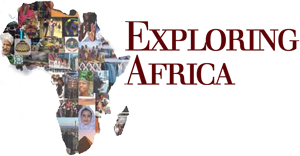 Exploring Africa provides an essential alternative to the perspective of African homogeneity by accentuating the reality of Africa’s political, social, cultural and economic diversity through the detailed study of the Democratic Republic of the Congo and nine other important African countries. Recognize and celebrate Africa’s rich diversity. An in-depth study of the Democratic Republic of the Congo and country perspectives from all regions of Africa facilitates knowledge and understanding of the rich diversity of African political, economic, cultural and social realities, traditions and practices. Countries are important: In spite of the growing political importance of globalization, the nation-state remains the primary and most important political entity in the early twenty-first century geo-political world. This is true in Africa as it is in Europe, Asia, and the Americas. Through the comparative study of the Democratic Republic of the Congo and the nine other selected African countries students will gain an understanding and appreciation for the similarities and difference among African nation-states and between African states, their own country, and countries in other regions of the world. Throughout this lesson numerous photographs will be used. It is important to remember that these photographs do not represent the “way things are” in the Democratic Republic of the Congo. A photograph of large refugee camp in eastern DRC, is important to illustrate the recent history of this region. Such a photograph, however, is just one among many possible representations of political interaction in the rest of contemporary DRC, just as a photograph of police using violence against anti globalization demonstrators in Miami in December, 2004, while an accurate representation of that event, it is not an accurate representation the norm of police-community relationships across the U.S. Photos are used in this lesson to help illustrate the geography and history of the DRC, and social, political and economic activities and practices in contemporary DRC. They do not represent a uniform way in which Congolese engage in these activities. A clearer understanding of the geography, history, and cultures of the Democratic Republic of the Congo. A more comprehensive understanding of the causes and impact of the Great War of Africa that decimated much of the Eastern DRC over the past 20 years. A better appreciation how influential works of Western literature can frame and inform the way that we understand and think about the peoples and cultures of an African country. A keener appreciation for the impact of global connections on the economy and politics of the Democratic Republic of the Congo.